Website administrator will be able to insert any content (Youtube, pictures, Facebook blocks, additional text boxes, banners) for certain products (product categories, products of certain manufacturers). Add Youtube video in description of the products that are in Notebooks group. Add Free Shipping banner for products from Accessories group. Add block of ads Buy on Credit for the products of selected manufacturer. 1. For each block, you can specify a list of products, product categories, list of manufacturers. Youtube video about TVs will appear only on pages with products in TV category. Youtube video on mobile phones – on pages with product in Mobile Phones category. 2. 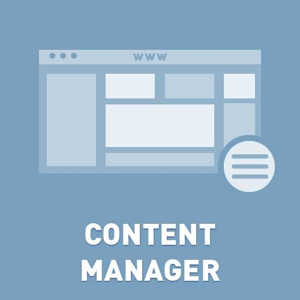 For each product, you can set multiple blocks of content. Youtube video on TVs and Free Shipping banner. 3. Multilanguage support. Descriptions can be in different languages. 5. You can specify the time when the block is displayed. Only works with MSSQL Server 2005 and above. Not registered version is fully operational and has only one limitation – 5 blocks of content.